We harvested our first Riesentraube tomatoes of the season. We started these in February and they just took off. They are a grape shaped tomato with a unique chariteristic of having a little tip at the end. It’s name means “giant bunch of grapes.” The 3/4 ounce fruit have a rich flavor that is great in salads. 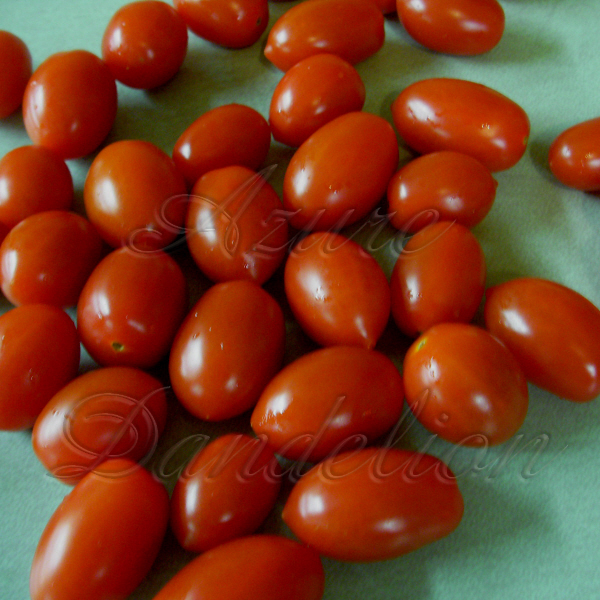 Grow your own Riesentraube Tomatoes with Heirloom Seeds from Azure Dandelion.